The third release on Wooha! comes from Sem Thomasson, a natural born producer with a huge talent for making extremely catchy dance tracks. With productions on Stealth, Spinnin, Diffused and Ultra and remixes for the likes of Steve Aoki, TV Rock and John Dahlback, he gained excellent feedback from big shots like Steve Angello, Thomas Gold, Bingo Players, Laidback Luke, David Guetta and Tiesto.He now teams up with Wooha! to release his brand new track Aorta. It's a piano driven tune that has a mindblowing impact on any crowd. Aorta penetrates right through your body to the core of your dancing nerve centre. After hearing Aorta just once, you will know the melody by heart.Dutch dj and producer Dannic delivers a dancefloor bomb with his remix. Early 2012 he scored a first Beatport overall top 10 position with 'Kontiki', his collaboration track with Hardwell. 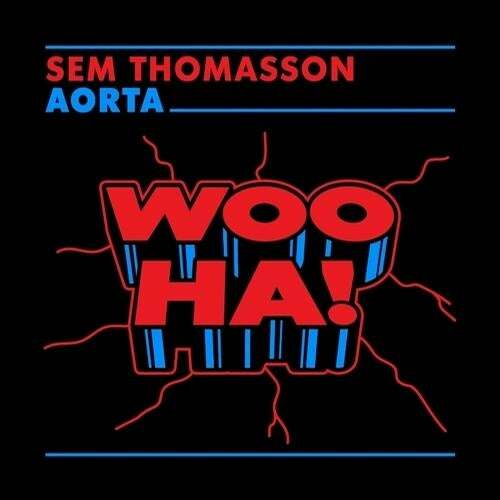 The remixes he made for Armand van Helden, Nicky Romero, Chuckie and R3hab have been getting wide support of all the biggest jocks out there, and now he delivers a massive remix for Sem Thomasson. Point.Blank gives 'Aorta' an amazing dubstep treatment. With releases on Dubsaw, Betamorph, Ultragore and BuyGore, he is getting support from Borgore, Eptic, KOAN Sound, Tomba, Habstrakt and many more. Point.Blank aims squarely at your dome with beats and basslines that are hard as nails, but after hearing this remix you will know he has a lot more up his sleeve. Play it loud!www.wooharecords.comwww.facebook.com/wooharecordswww.youtube.com/wooharecordswww.twitter.com/wooharecordswww.soundcloud.com/wooharecordsearly support by:Axwell: thx!JOEYSUKI: Nice package!Siege: Big one from Sem! Full support.Flash Brothers (Israel) : Good big room tune!Nick Thayer (OWSLA) : Point Blank rmx is very cool. Lovely detail in there.Skyve (Studio Brussels Belgium) : banger!Gareth: Thanks for this!Christian Homan (RTE Radio Ireland): 3 strong mixes here, will rotateAndy Smith (penthouse live london fridays/ pure penthouse sats): great uplifting breakdowns love it Shaun Sullivan (Manhattans): Excellent!Jonathan Maby: well written club mixNippa Downey (PUSSYCAT/ LUSH): Big room tune! I'll be playing this out loud.Tony Style (Saint FM): I am re-working my weekend playlist as we speak!! What a great uplifting number with have here!Albert Masferrer - Kosmos (BOOMBOX/ NASTY MONDAYS): woo ha! anthem alert!